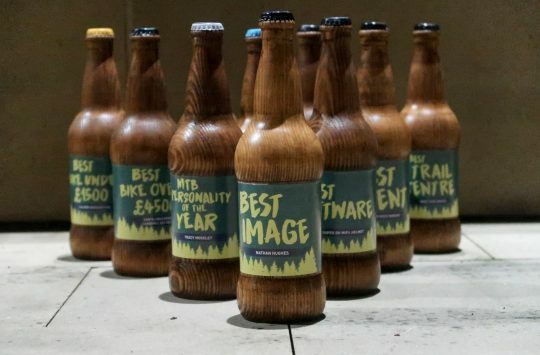 The 120mm travel FlareMAX gets a nomination as Best Bike Over £2500. 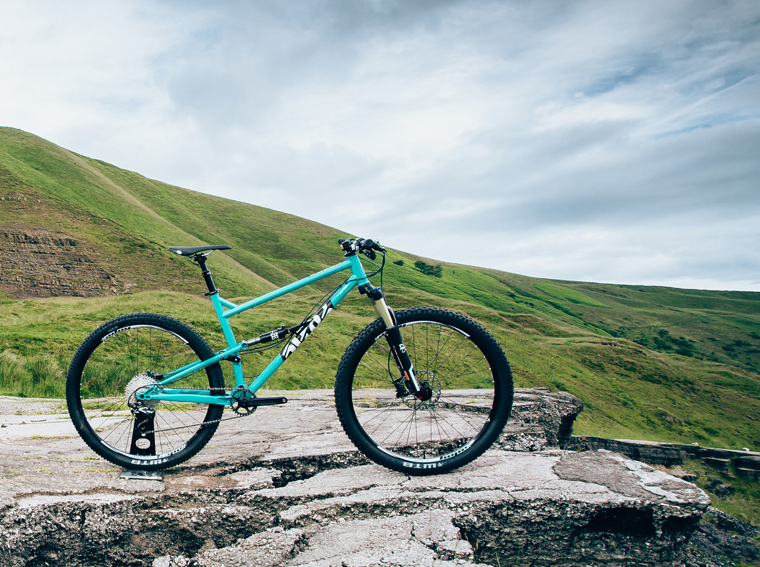 Thanks to its Peak District roots and no-nonsense approach to working with steel, Cotic’s bikes have been a popular option with UK mountain bikers for a long time. 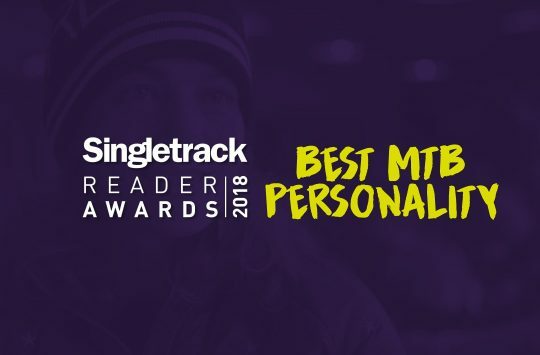 With a growing range of hardtail and full suspension frames and complete bike options, Cotic was a favourite to receive a nomination for the Singletrack Reader Awards. The nomination goes to the new FlareMAX – a full suspension trail bike with 120mm of travel and the ability to run 29in or 27.5+ wheels. The droplink suspension design is based on the longer travel Rocket, but as we’ve found from our testing, the FlareMAX is a wildly capable bike for its given travel. Read our review of the Cotic Flare Max here. 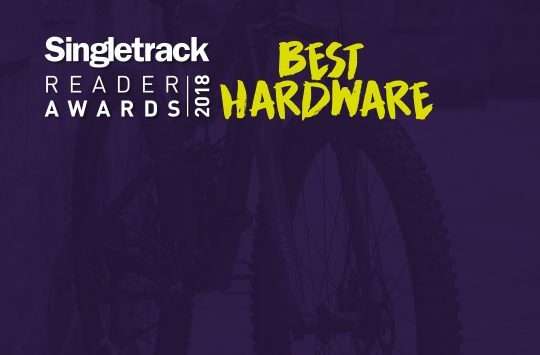 Vote for the Cotic Flare Max here. Stepping up the bling factor is one of the most lustworthy UK-made mountain bikes going right now: the HB160 from Hope. 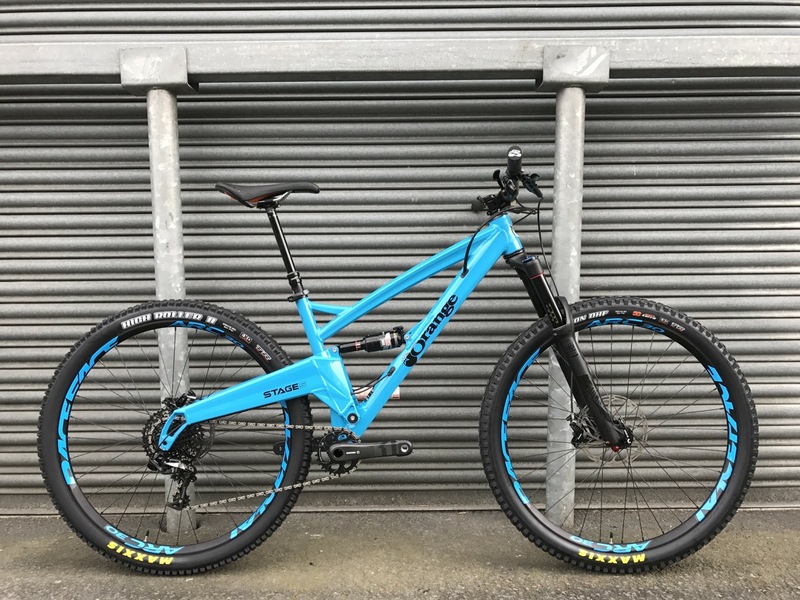 Made in Hope’s Barnoldswick factory with a full carbon mainframe and 160mm of travel, the new HB160 has only just become publicly available after we had the chance to test ride it last month. At £7,500 the HB160 is unashamedly high-end, and its use of a proprietary bottom bracket and rear hub (which Hope makes especially for the frame) will irk some. But with Hope’s meticulous engineering approach governing every little detail on the HB160, this is one machine that is worthy of the ‘Hyper Bike’ label. Learn more about the Hope HB160 here. Vote for the Hope HB160 here. The Orange Stage 5 rounds out our British trio of bikes, and like the Hope HB160, this one is made right here in the UK. Taking design cues from the venerable Five, the Stage 5 slots 29in wheels into its chunky monocoque alloy frameset to increase straight-line speed and stability. The classic single pivot suspension design and elevated swingarm design remains, but travel has been shortened over the Five to come in at 135mm on the rear and 140mm up front. Despite the simplicity, Orange have crafted an absolute monster in the Stage 5. We first received our Stage 5 test bike earlier this year, and it was tested and reviewed in Issue 113, where we discovered the bike’s penchant for going very fast over very rough things. 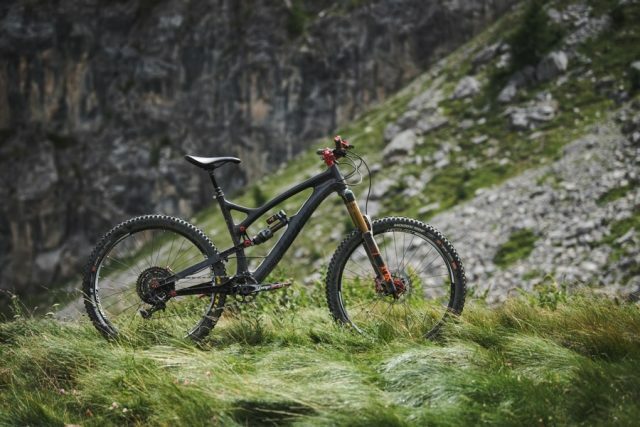 The geometry on the Stage 5 is absolutely bob-on, and proves that complex suspension designs and carbon fibre ain’t always what they’re cracked up to be. Read our first look of the Orange Stage 5 here. Vote for the Orange Stage 5 here.